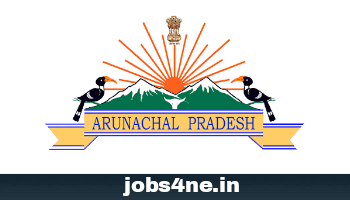 Arunachal Pradesh PSC (APPSC) Recruitment 2017- Combined Competitive (Prelim) Examination, 2017: Last Date 22-06-2017. - Jobs4NE : Jobs in Assam and North East India. Arunachal Pradesh PSC (APPSC) Recruitment 2017- Combined Competitive (Prelim) Examination, 2017: Last Date 22-06-2017. Arunachal Pradesh Public Service Commission (APPSC) invites application from eligible Indian citizens for the recruitment of following Combined Competitive (Prelim) Examination, 2017. Last Date for Submission of Application: 22-06-2017. Total no. of post: 57 Nos. 1. APCS (EG), Group-A: 40 Nos. 2. APCS (EG), Group-A: 04 Nos. 3. Child Development Project Officer, Group-A: 08 Nos. 4. Asstt. Director ( Industries), Group-A: 01 No. 5. District Food & Civil Supply Officer, Group-A: 02 Nos. Educational Qualification: Bachelor’s Degree in any discipline from a recognized university. Age Limit: As on 22-06-2017, minimun 18 years and maximum 30 years of age. Upper age relaxation for selected categories will be as per Govt. rules. Selection Process: Selection will be made based on written Exam and viva-voce. Exam Centre: Itanagar, Naharlagun, Bomdila, Ziro, Daporijo, Seepa, Pasighat, Yingkiong, Tezu, Aalo, Basar, Khonsa, Jairampur & Roing. Application Fee: Aplication Form may Obtain from Commission’ s Office, Itanagar, Office of all Deputy Commisssioner, Arunachal Pradesh, Principle Resident Commissioner Arunachal Bhawan, New Delhi, Deputy Resident Commissioner, Shillong, Kolkata & Guwahati on payment of Rs.300/- for General Candidates and Rs.250/- for APST Candidates through Cash. How to Apply: Interested candidates may apply in prescribed application form along with recent passport size photograph send to the Secretary, Arunchal Pradesh Public Service Commission, Itanagar-791111 on or before last date. Tags: Arunachal Pradesh, Graduate, State Govt.